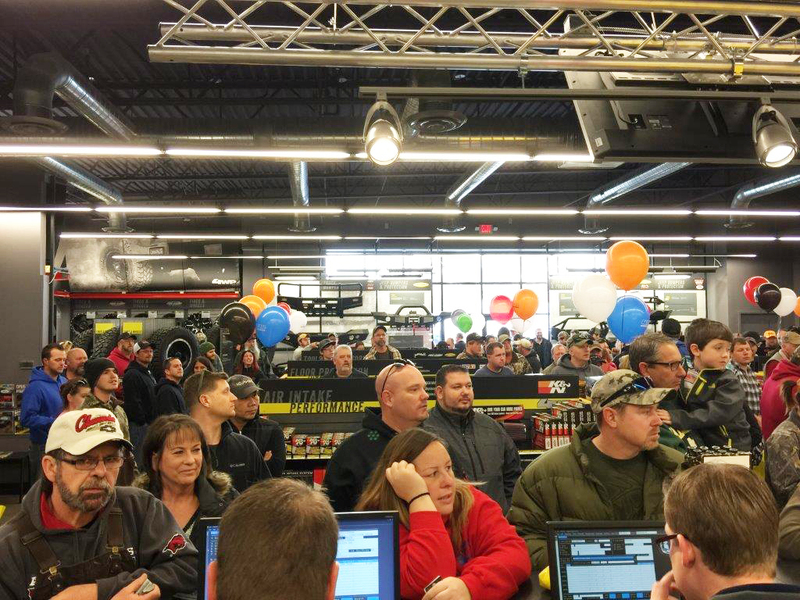 Browsing articles tagged with " ARB"
Compton, California (April 23, 2015) – 4 Wheel Parts, the global leader in off-road performance product sales and installation, is celebrating the grand opening of its new Canadian store in Langley, BC with a special event. This Saturday, April 25, off-road enthusiasts will descend upon the brand new location for installation specials, hourly prize drawings, giveaways and tours of the state-of-the-art service bay. This newly opened Langley location joins the fleet of 69 4 Wheel Parts stores serving the 4×4 community across North America. Transamerican Auto Parts (TAP) is rapidly expanding its retail operations throughout the United States and Canada. Recently, TAP expanded its distribution center in Coppell, Texas to extend its regional reach in the southern United States and satisfy the high customer demand for off-road parts and accessories. The company’s Canadian growth initiative now numbers a total of seven 4 Wheel Parts locations in Alberta, Burlington, Calgary, Fredericton, Langley, Montreal and Red Deer. 4 Wheel Parts store showrooms are being updated with state-of-the-art interactive displays and increased inventory onsite including suspension systems and truck wheels. New locations are providing local off-road fans a first time look at the future of the off-roading industry. The Langley opening celebration this Saturday is a free, family-friendly occasion that will happen from 9 a.m. to 5 p.m. Popular manufacturers like ARB 4×4 Accessories, KC HiLiTES and Poison Spyder Customs will have their products there for off-road enthusiasts to receive an up close look at the latest innovations. Installation deals from ASE-certified 4 Wheel Parts onsite technicians will be offered for many of the products offered at the grand opening. 4 Wheel Parts is the global leader in off-road truck, Jeep and aftermarket performance products. With 7 locations in Edmonton, Montreal, Calgary, Burlington, Fredericton, Red Deer and Langley, and growing, 4 Wheel Parts Service Centers install all the products they sell. Maintaining Canada’s largest inventory of all-terrain tires, off-road wheels and winches, 4 Wheel Parts serves customers across the country and around the globe. Life is Better Off-Road™. Visit them at 4wheelparts.com or call toll-free 877-474-4821.